Milkhouse Reed Diffusers are the ideal solution for those who want Milkhouse quality fragrances without the flame. 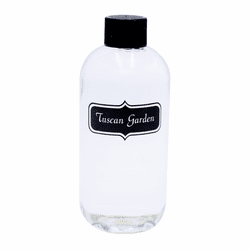 Perfect for office settings, dormitories, or anyplace else you desire continuous fragrance. Each diffuser provides 3 months of continuous fragrance. A summer rain on orange blossoms, summer orchids, and wind swept grass. Coconut water, mandarin orange, and rosewater arriving on a base of driftwood and citrus. A masculine tribute to the rural life. Deep notes of rich cologne and pipe tobacco. 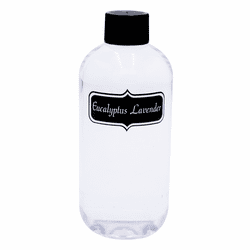 A refreshing blend of lavender and the exotic spice notes of eucalyptus. A rich fragrance bursting with woodsy balsam and sandalwood. Accents of ripe fruit and rich florals with a hint of smoky spice. Fresh florals, mountain greens and spicy olive trees. Inspired by the Northern California coastline. 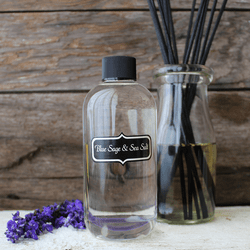 Bergamot, sea salt, beach sage, eucalyptus, and lavender on a base amber and rosewood. A masculine tribute to the rural lfe- Deep notes of rich cologne and pipe tobacco. Balsam fir surrounded by sparkling notes of orange, grapefruit, and crushed cranberries with a background of sandalwood, clove and cinnamon. An earthy, uplifting fragrance. Fresh green notes with hints of Meyer lemons and sweet ginger. A full, rich fragrance bursting with woodsy balsam and sandalwood. Accents of ripe fruits and rich florals with a hint of smoky spice. Sensational! A very sophisticated fragrance for today's home. Fresh mountain greens and spicy olive trees. A Milkhouse staff favorite.